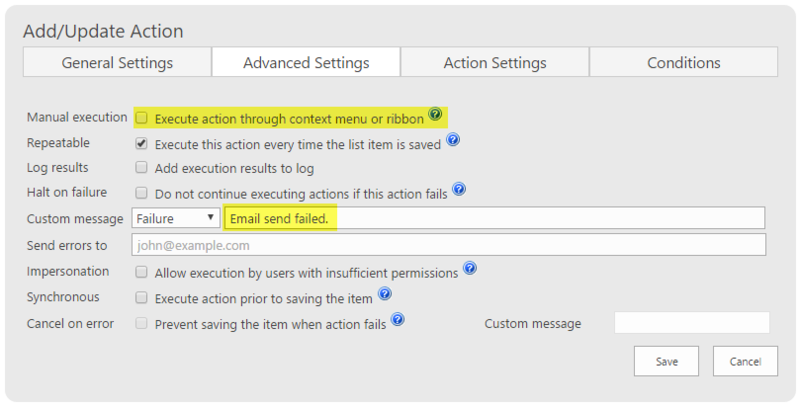 The send email action is an alternative method to trigger an email that is executed through a smart action instead of email alert rules. One important advantage is that the email action is more appropriate for simple email alerts that are tightly related to existing actions. Create a new Send Email action. Hide the action from the user. Send the email alert to the Created By user. Set a condition so that the alert is triggered when the Spent after change is more than Budget. The email alert functionality has more advanced functionality and more options, but it also takes longer to set up. 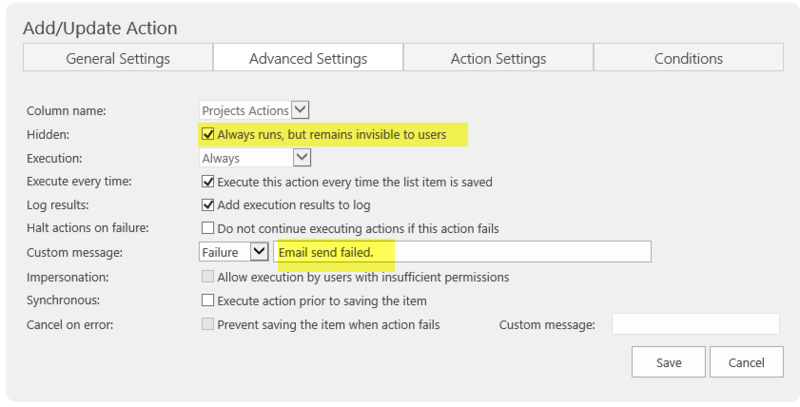 The Send Email smart action may make more sense if you need to send an alert to one user based on conditions that are closely related to existing actions. It is helpful to explore both methods for sending email to better understand when each option is appropriate.